Assemblymember Al Muratsuchi presents a certificate to Tokuro Nagai of Harada Shuzo Company on Sept. 5 in Torrance. 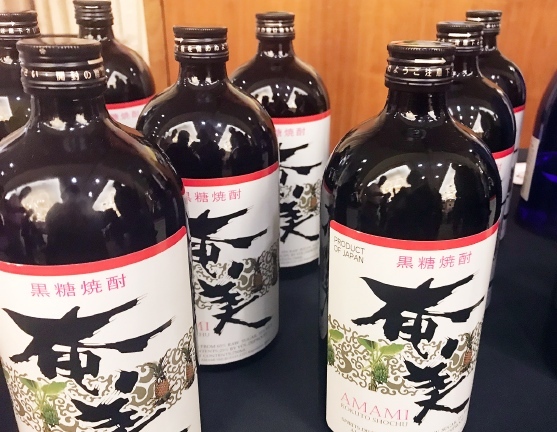 TORRANCE — Seeking to take its place in the United States alongside sake and biru, the lesser-known Japanese distilled spirit shochu made a splash at a tasting event on Sept. 5 that featured products from six shochu makers from Amami Island, Kagoshima Prefecture. Introduced in 16th-century Japan, shochu is a national, traditional alcoholic beverage (koku-shu); however, it is considered a youngster when compared to sake (Nihon-shu), which debuted in Japan around 300 B.C. Made from grains and tubers, shochu is sugar-free and frequently compared to whiskey, brandy or vodka but with fewer calories. Its various flavors are derived from ingredients such as sweet potato, rice, barley, buckwheat, and black sugar. Health enthusiasts are quick to point out that shochu also contains vitamins B1 and B2, minerals, iron, and potassium. Recent scientific research found that Honkaku Shochu improves blood flow and may help prevent blood clots and arteriosclerosis, and increase good cholesterol. Assemblymember Al Muratsuchi, Consul General Akira Chiba, and Japan House President Yuko Kaifu were among the dignitaries on hand to welcome the Amami Island delegation, which included Amami Oshima Kaiun Shuzo Co. Ltd., Amami Oshima Shuzo Co. Ltd., Amami Shurui Co. Ltd., Harada Shuzo Co. Ltd., Machida Shuzo Co. Ltd., and Yayoi Shochu Jozojo Co. Ltd. 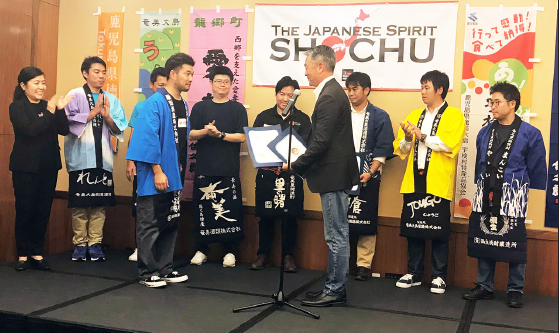 Although shochu has been available in the U.S. for several years, the shochu makers hope to increase awareness among Americans, starting with Southern California. The inaugural tasting party was presented by L.A. Shochu Kai in cooperation with Miyako Hybrid Hotel in Torrance. Shochu makers are hoping to increase awareness of the distilled spirit in America.